To learn more about Top Senior Management & Board of Directors click here . The Central Broadcasting System established Viacom Inc. in the 1970s as compliance to the Federal Communications Commission. It wasn’t until June 4, 1971 that Viacom Inc. finalized the split from CBS, in which its stocks were distributed among stockholders. Even though Viacom Inc. split from CBS, it had about 90,000 cable subscribers making it one of the largest cable operators in the United States. By 1973, the number had increased to 7.5 million subscribers but this opened the gates for FCC regulations. In addition to FCC regulations, Viacom Inc. faced competition from companies such as HBO (Home Box Office), a subsidiary of Timer Warner Inc . The 1980s for Viacom Inc. were characterized by growth through joint ventures with Warner Communications Inc. and Warner Amex Cable Communications Inc. and the acquirement of MTV Networks. MTV Networks included Nickelodeon and VH-1 at the time. By the end of the 80s, Viacom Inc. owned five television stations, fourteen cable franchises, and nine radio stations. One of the radio stations they purchased was WLAK-FM, a Chicago based station. The end of the eighties and the early nineties were marked with a law suit between Viacom Inc. specifically Showtime and HBO. Viacom Inc. got the better half of the suit as Time Warner Inc. was forced to pay them $75 million. By far, one of the greatest achievements for Viacom Inc. during the nineties was when they purchased Paramount Pictures Communications Inc. completing a $9.9 billion merger with the company. For full history click here  or for history timeline click here . Viacom Inc. is one of the largest global leading media companies with diverse audiences everywhere. Viacom Inc. primarily operates in Media Networks and Filmed Entertainment. The Media Networks provide entertainment content and branded products for its audiences while the Filmed Entertainment produces motion pictures. On a international scale, Viacom Inc. reaches about 700 million households. Viacom Inc. successfully targets a large demographics through the various channel platforms they own. For example, by owning Nickelodeon, Viacom Inc. has a large children population. For general information about these networks/segments click here . The establishment of Paramount Pictures Inc. can be contributed to Adolph Zukor, Jesse L. Lasky and Cecil B. DeMille. The year 2012 marks the 100th year anniversary for Paramount Pictures Inc. making it one of the oldest motion pictures company in the United States. Paramount Pictures Inc. has been successful in launching revolutionary motion pictures such as The Godfather, and Chinatown. For the year 2013, a Paramount Pictures Inc. movie, Hansel & Gretel: Witch Hunters made the top ten in the box office resulting in a profit of $50.2 million. low revenues in the Filmed Entertainment and a decline in Media Networks advertising revenues. The decline in the Filmed Entertainment revenues was due to its theatrical releases, Mission: Impossible — Ghost Protocol (2011) and Transformers: Dark of the Moon (2011). In addition, their debts increased from $8.15 billion to $8.39 billion in the months of September, November, and December. 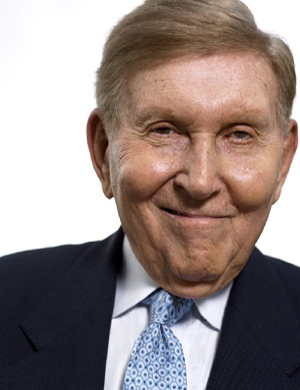 In response to these financial updates, Sumner M. Redstone stated “Viacom continues to build on its impressive global portfolio of movies, television programming and digital content. Philippe leads a talented executive and creative team at Viacom, and I am fully confident that by investing in new hits we will continue to build our outstanding brands” . Viacom Inc. still continues to battle their debts issues. On March 11, 2013, they agreed to sell $300,000 million of the principal amount due >> To continue reading click here . Not too long ago, Viacom Inc. launched a new show through Nickelodeon. 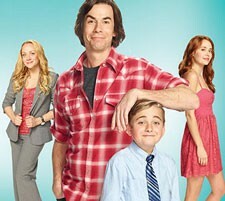 The show is a comedy series called “Wendell & Vinnie,” which premiered on Sunday, February 17th 2013. For the full article click here . Also the cable network, VH1 plans to launch three shows premiering this upcoming April. “The Gossip Game,” premiering Monday, April 1st is a show based in New York City, where seven women are trying to make it in the media entertainment industry. Following “The Gossip Game,” the third new season of “T.I. & Tiny: The Family Hustle” will premiere on Monday, April 8th. The show is based on rap megastar T.I. “Tip” Harris and his family. Last but not least, VH1 plans to launch on Sunday, April 21st, “I’m Married To A…”A documentary series whose focus will be on unusual situations that brings couples together. For the Film Entertainment segment, Paramount Pictures Inc. is currently working on sixteen new upcoming releases, seven of which will be premiering during this year and the rest in 2014. For the complete list click here . An important update for Viacom Inc. this year is the election of two new members that will serve on the Board of Directors. Cristiana Falcone Sorrell, one of the new members is the Senior Advisor at the World Economic Forum and Deborah Norville is a two-time Emmy winner, who is best recognized as a TV journalist. As a result of these two new members, Viacom Inc. will now have thirteen members as part of their Board of Directors. Another story that has had the spotlight are the tensions that have been brewing up between Cablevision and Viacom Inc. Cablevision is suing Nickelodeon, MTV and Comedy Central, claiming that Viacom Inc. is forcing cable operators to carry low-rated networks. Cablevision has been trying to control the rising subscriber fees by denying some of the networks that are not getting the best ratings. For the full gossip click here . What About Them Video Music Awards? History will be made this year as MTV will be bringing the Video Music Awards to Brooklyn, New York on Sunday, August 25th 2013. The VMAs will be taking place in the Barclay Center, home of the Brooklyn Nets >> To continue reading click here .